Making your own bicycle tire chains was not as hard as I thought it would be. I went to a local hardware store and picked up a few things I needed for this project. It turned out to be fairly inexpensive. First let some air out of your tires. 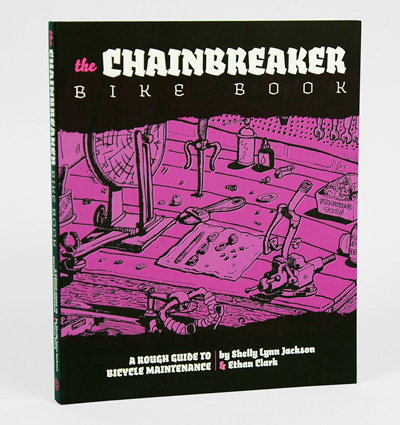 Here’s a hand-illustrated and accesible introduction to the world of bike repair! Through working at both Plan B Bike Project and French Quarter Bicycles in New Orleans, the co-authors have gathered a wealth of experience to share with would-be mechanics. The first half of this book is a complete repair manual to get you started on choosing, fixing, and riding your bike. The second half reprints all four issues of Chainbreaker zine, whose originals were destroyed in Hurricane Katrina. Rode into town to get some windshield wiper fluid for the car. The bottle fit perfectly into the Revelate Viscacha rear bag. 20 degree temps - Wore wool underlayer, jersey and Showers Pass heavier jacket. I needed hand warmers after a really long downhill because my hands got cold. Rode around Montpelier VT with my brother and Josh from Burlington checking out the sights. It has taken Juliana Buhring just 152 days to cycle round the world, becoming the first woman ever to do so. She tells Cole Moreton about the highs and lows of her 18,000 mile solo road trip. When Juliana Buhring rode out of Naples in the summer, saying she was off to cycle around the world, hardly anyone believed her. But yesterday the 32-year-old English language teacher returned to a hero's welcome in the Piazza del Plebiscito, having pedalled more than 18,000 miles alone. She had been on the road for 152 days, travelling through 18 countries on four continents and fighting off sickness in India, dogs in Turkey and even birds in Australia. "It feels surreal to stop," she said afterwards, looking forward to a bath and a drink. "I haven't quite registered that I don't have to get up at five tomorrow morning and get back on the bike again. I am in surprisingly good shape, considering." The last leg of the journey had been among the hardest: heavy snows were falling and the temperature was nine below zero as she cycled back through Italy. 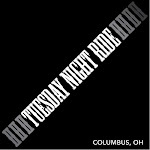 "But I was trailed by about 100 cyclists who rode with me along the coast into Naples, which made that fun," she said. Miss Buhring, who has a British father, was attempting to set a new record as the first woman to circumnavigate the globe alone on a bicycle. She must now wait for the claim to be accepted by Guinness World Records, who act as adjudicators on such matters. It all started with inspiration sparked by a recycled-materials, reusable grocery bag with “ingredients” printed on it attached to a messenger bag. Aluminum. Rubber. Plastic. “Hey. Those are bike parts.” Flash! A few years later, and our prototypes are alive, well and rolling down a street near you. (If you live in Los Angeles.) Against so many odds, we’ve managed to create a head-turning bicycle made from 100%-recycled aluminum, making it the greenest transportation option available anywhere. Now, it’s time to roll The ReCycle forward and start reducing carbon output and waste by reusing aluminum through a closed-loop, recycling mission to create new and awesome bikes from old and worn out materials. L to R: Moshi Moshi, Mudmaste, mBula. It’s the cruiser that speaks Fijian. The mBula is named after toasts during kava ceremonies on the beaches of Fiji. Coconuts falling from the trees. Stars that actually look like they go on for infinity. Camaraderie and convivial lounging. These are times that joyously scorch themselves into your psyche. In Japan, they answer the phone, “Moshi Moshi.” Heed the call and say, “Howdy!” to your own head-turner. Golden temples. Misty mountains dotted with the graves of samurai warriors and ancient sages. Traditions followed with precision and meditative concentration. A land focused on the betterment of the group while perfecting the self. The Moshi Moshi blends tradition with the new new. A fixed gear with a flip-flop hub and styling to blow the kimono off the other riders. Certainly one way to perfect the self and lead the group to betterment. “Namaste,” say all along Nepal’s Annapurna circuit–”I worship the god within you.” Towering peaks and limited oxygen swirl in a heady mix of beauty and wonder unmatched on this planet. When you’re this high you see far and dream big, and wonder at least a bit about your place. Though, after 28 days without a shower, we decide it’s more like Mudmaste, “I worship the mud upon you.” Mud you can collect anywhere you dream to be with our all-terrain bicycle. From road to trail, the Mudmaste can get you there while the others bow down to your ride. I suppose at some point in the future, I will look back on today and smile - the effect of time and distance having fully pared down my memory to a few mildly amusing vignettes, but until then I am rooted in the here and now staring across one of the most remote and inhospitable places in the entire world and a goal I'm not sure I'll be able to achieve. By all accounts it wasn't a terrible day - I covered 26 nautical miles despite a variety of weather conditions. I managed to intersect with an old ALE cat-train trail and for a while things seemed good, but the trail drifted over and I alternated between riding along side and over the drifts. At some point early on, the light turned flat and it was hard to see much of anything. Then, it started snowing. I couldn't believe it. I burned about 20 minutes trying to set up my camera to take pictures of myself actually riding my bike (not easy) until the visibility improved enough to start riding again. I've had to amend my travel schedule slightly to accommodate the substantial effort of biking in Antarctica. As it stands now, I bike for an hour then take a break and eat a Clif Bar. After four and a half hours, I pull out my Stanley vacuum food jar and eat some soup (probably the highlight of my day). The hard candy that Skratch made for me has also been a life saver. All told, I was on the 'trail' from 9 to 6:30. I spent a better part of my day trying to manage the overwhelming nature of the task at hand. I am far enough away (plus I couldn't see in the whiteout) from the Patriot Hills so all that stretches between me and the South Pole is a whole lot of snow and ice. In the late afternoon, the sky cleared enough that I could see a rise in the ice in the distance. I will need to climb over 9,000 feet to the pole. For the next 300 miles, I will bike up the somewhat rolling ice sheet of Antarctica. I spent nearly an hour thinking of an old high school friend, Scott, whose young son, Noah, died tragically in an accident. It put my own troubles in stark perspective. Scott told me last year, 'it's like a burn, and even though the wound heals slightly, the pain never goes away. The Cycle South Expedition is sponsored by DeLorme and Ergodyne with major support from MSR, Goal Zero, Yaktrax, Wenger, Stanley and Clif Bar. I am using a bicycle to get to the South Pole. You can use a bicycle to change the world.Find out how you can help! For media inquires please contact lora@screamagency.com. Remember, it's cool to be cold! Polar adventurer, expedition guide, dog musher and educator, Eric Larsen has spent the past 15 years of his life traveling in some of the most remote and wild places left on earth. In 2006, Eric and Lonnie Dupre completed the first ever summer expedition to the North Pole. During this journey, the duo pulled and paddled specially modified canoes across 550 miles of shifting sea ice and open ocean. Eric successfully led his first expedition to the South Pole in 2008, covering nearly 600 miles in 41 days. Eric is now one of only a few Americans in to have skied to both the North and South Poles. In November 2009, Eric returned to Antarctica for the first leg of his world record Save the Poles expedition. This time he completed a 750-mile ski traverse to the geographic South arriving on January 2, 2010. Two short months later he was dropped off at northern Ellesmere Island for a winter-style North Pole Journey. The international team reached the North Pole 51 days later on Earth Day - April 22, 2010. He completed the Save the Poles expedition by reaching the summit of Mt. Everest on October 15th, 2010 becoming the first person in history to reach the world's three 'poles' within a 365-day period. Eric's other expeditions include dog sledding in the Canadian Arctic, training trips to Hudson Bay and countless dog sled races (including the John Beargrease Sled Dog Marathon). He has summited Mt. McKinley, ridden his bike across the United States, been a backcountry ranger in Alaska and a white water canoe guide in Colorado. Eric has dedicated his adult life to sharing his love for the outdoor world with others. As an educator, Eric strives to connect people to places and issues. In recognition of those efforts, Eric was elected as one of Outside Magazine's Eco All Stars in 2008. Eric travels extensively giving motivational and educational lectures to schools, universities, non profit organizations and corporate groups. He is also finishing the documentary COLDER about the Save the Poles expedition. Eric lives Boulder, Colorado with his partner Maria Hennessey and their one month old baby boy, Merritt. Tim Harincar is owner and founder of webExpeditions, a company specializing in helping adventurers and researchers communicate via the internet to audiences from some of the most remote places on the planet. Using various technologies, including custom designed software, webExpeditions helps find the most efficient ways to connect with audiences and sponsors. Based in Minneapolis, webExpeditions has assisted projects on every continent and every ocean. Tim is an avid cyclist, regularly bike commuting over 5000 miles a year. As an outdoor enthusiast, Tim has completed the Arrowhead 135 ultra marathon twice by bicycle and has been a strong proponent of winter cycling and snow bikes. Elisabeth provides expedition support for the Cycle South Expedition by utilizing social media and managing content to share the story of the the world-first bicycle journey across the Antarctic continent to the South Pole. The goal of the Cycle South expedition is to combine adventure and advocacy to demonstrate the many ways in which people can use a bicycle to change the world; from protecting our environment to improving the quality of our lives, as well as the lives of those around the world. Peter puts over thirty years of communication leadership, outdoor pursuits and personal challenges into life's blender as part of the EXPLORE THE EXTREMES team. A former collegiate Nordic racer and coach, Peter's career has taken him to emerging nations struggling to find economic stability after decades of war and corruption. Avid cyclist and unrepentant solo trekker, he finished college overseas and continues to work internationally in the recreation industry. His vision for E.T.E.? "Be part of watching individuals change -- and then transform their communities and world." After raising five boys, Peter's ready to push boundaries including going places that actually have food in the refrigerator or pantry. Merritt joined the ELE team in Oct 2012. He resides in Colorado where he is currently dedicated to a program of eating and sleeping in order to bulk up, as well as working on his acclimation to the altitude in preparation for his first expedition. His primary role for the Cycle South expedition are keeping Eric slightly sleep deprived, so the expedition is easy in comparison. He also serves, along side Maria, as prime motivation for Eric to bike fast and get home. One of POC’s most popular helmet models, now exclusively offered withBeats by Dr. Dre headphones built into the neck roll. With the remote control, compatible with most smart phones, you can take calls and switch songs and adjust volume right from the cord. No more fumbling with gloves to find your cell phone or music player.